I remember seeing some new donuts at Dunkin' Donuts when I was walking around but didn't what flavor exactly they were because I didn't go in. And on the HP, they showed the new donuts called Raspberry and Oreo Cheesecake Squares. I got both, and here's the review of Raspberry Cheesecake Square. As the name says, it's a square shape donut. There's a hole to inject cheesecake filling. I had to admit that I was VERY DISAPPOINTED to receive this product, but can you tell why? 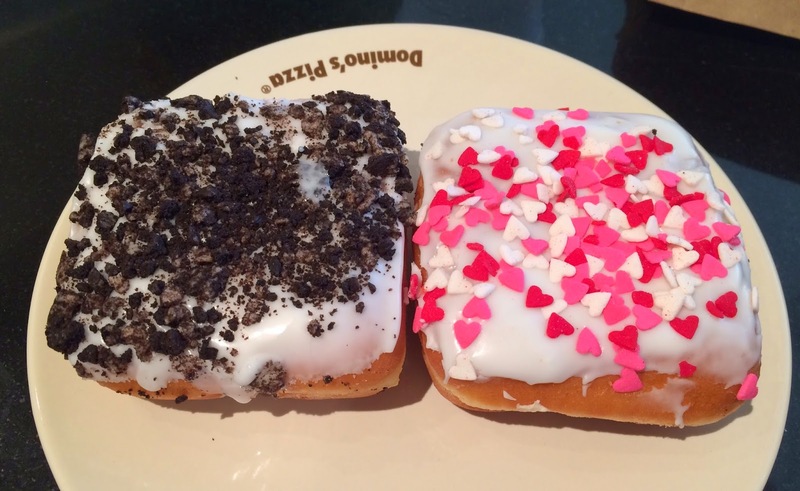 The topping don't resemble the advertisement photo at all, and these hearts must have been leftovers from Valentine's Day heart shaped donuts. 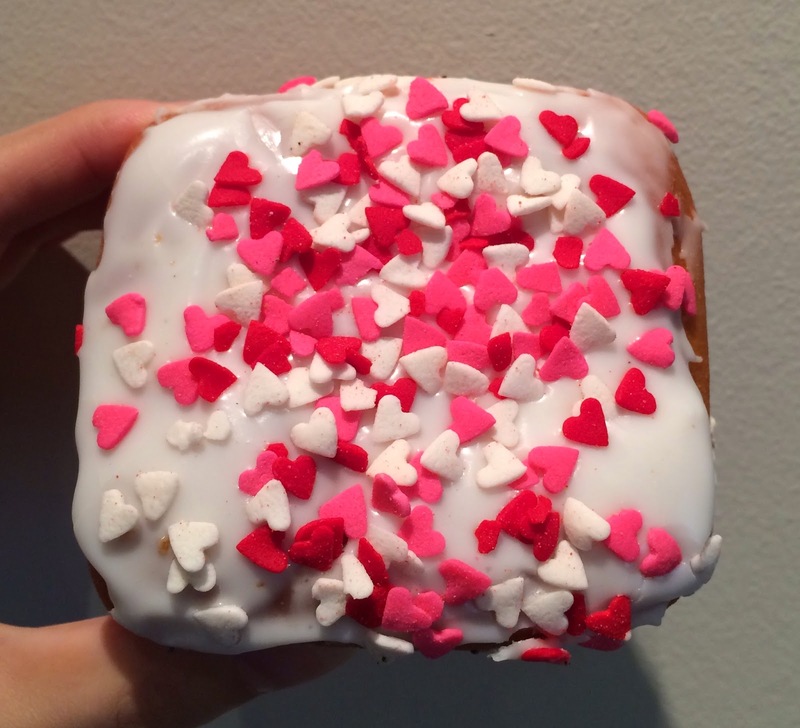 The photo below is from the HP, and I can clearly see this donut is topped with some pink pieces, NO heart is shown. First bite, no filling came out. 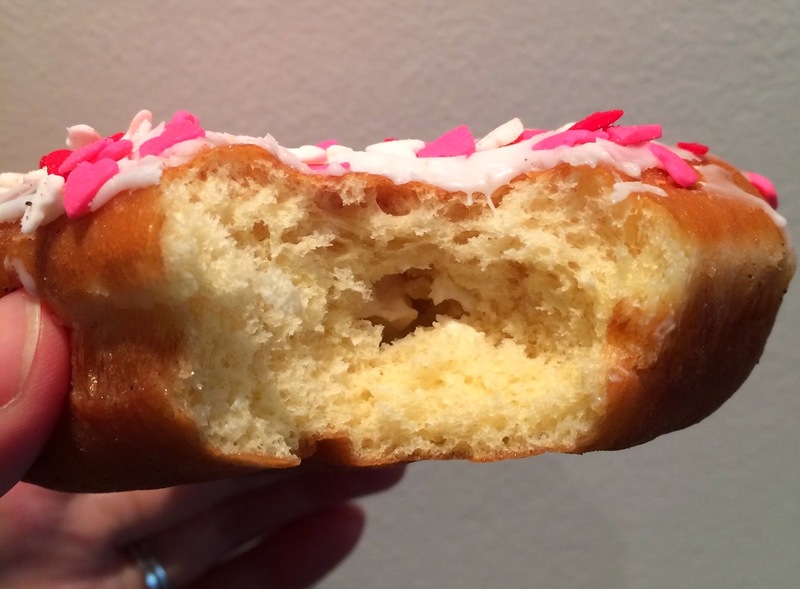 I just tasted the soft dough and soft and runny icing with crunchy and sugary heart sugars. Second bite, still no filling. I was already sick of the sweet heart decorations without tasting any cheesecake. 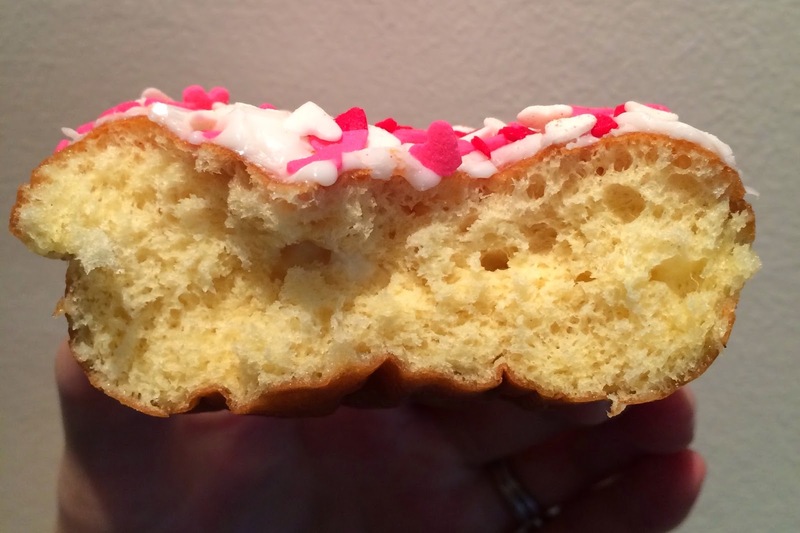 The filling was in the other half of the donut and it had cheesecake flavor with lemon flavor and it's creamy, smooth, and light even though it had rich flavor. I really liked the filling, and I wish it had been filled evenly. This particular Raspberry Cheesecake Square was too sweet due to the too many hearts on the top, but it's not the donut they showed on the HP, thus, I can't tell how true-to-the-recipe donut would taste like. 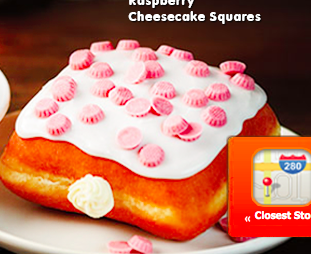 Unless this donut was a joke for April Fool's Day, this shouldn't be called Raspberry Cheesecake Square.